A cute bag of these tied with a bow makes a nice treat for someone! 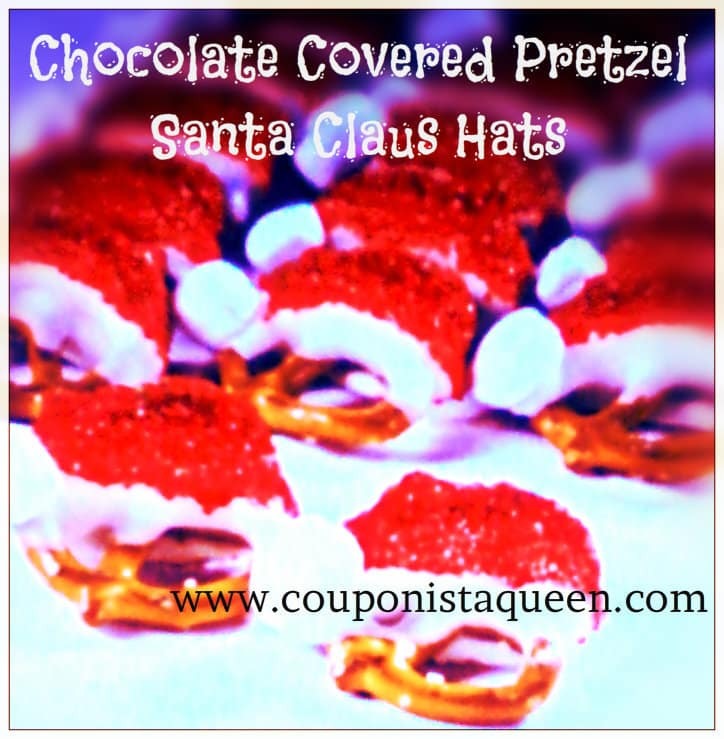 You will need pretzels, mini marshmallows, red sprinkles or red sugar and white almond bark or white chocolate melts. Dip pretzel top loop in not very hot almond bark. Lay gently on wax paper. Fill in with extra chocolate if necessary to fill in hole, sprinkle red sugar or sprinkles on top 3/4, leaving 1/4 for band. Cut a mini marshmallow in half with scissors and place cut side on wet chocolate on one side of band to make the pom pom. 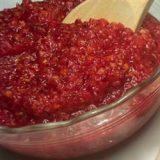 If you like this recipe, please share it or Pin it or Repin it on Pinterest.